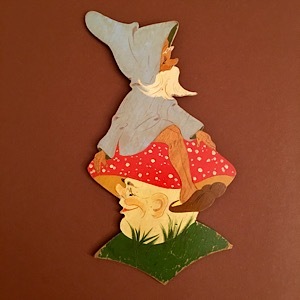 A Smiling Fly Agaric Mushroom is a rare motive on Wooden Wall Figures. Ravi also did a version without mushroom-ears. Hand-painted on wood with varnish, a museum piece. This entry was posted in ----Top 300----, -Ravi, +Zwerge.